Milestones are awesome. Unexpected milestones, well. They are my favorite. This weekend we (gulp) gave away Bridget’s walker. She hasn’t used it in 3 years. 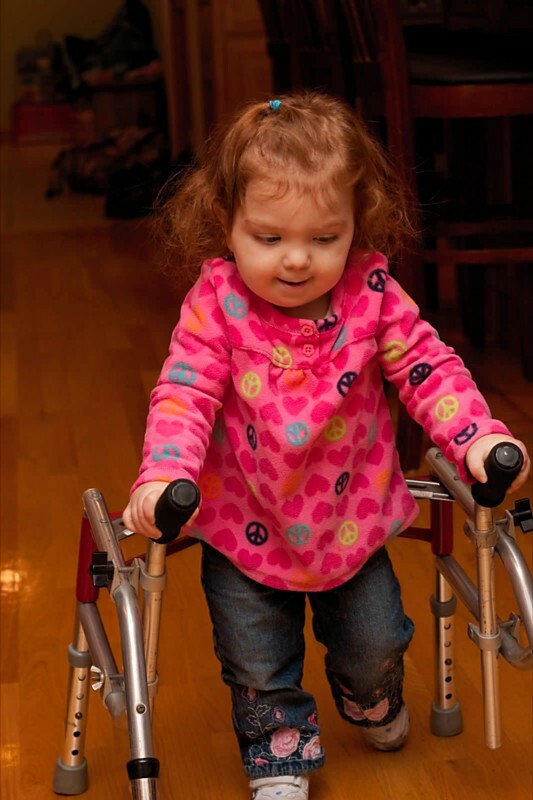 But donating the walker was a big step for me. It meant I finally stopped worrying that she would have some catastrophe and not be able to walk. A few weeks ago I found the walker collecting dust. I realized she may not need this anymore. But I bet another family does. 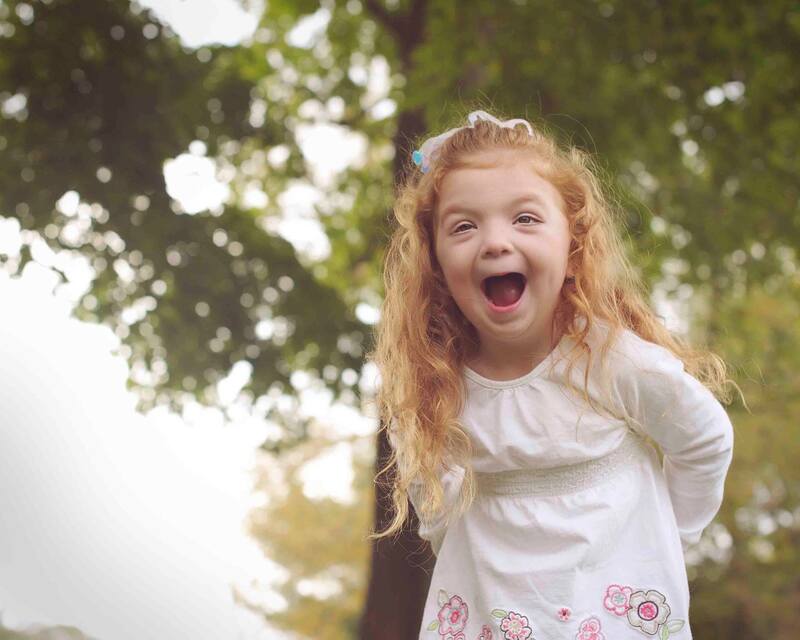 A friend’s daughter attends a school and they knew a family in need of a the walker. One phone call later, followed by a beautiful dinner with my friend and the walker was on it’s way to a new home. Here are to the milestones that matter. Bridget using her loaner before qualifying for her own walker. Using her shiny new walker. Abby was upset it didn’t have sparkles. 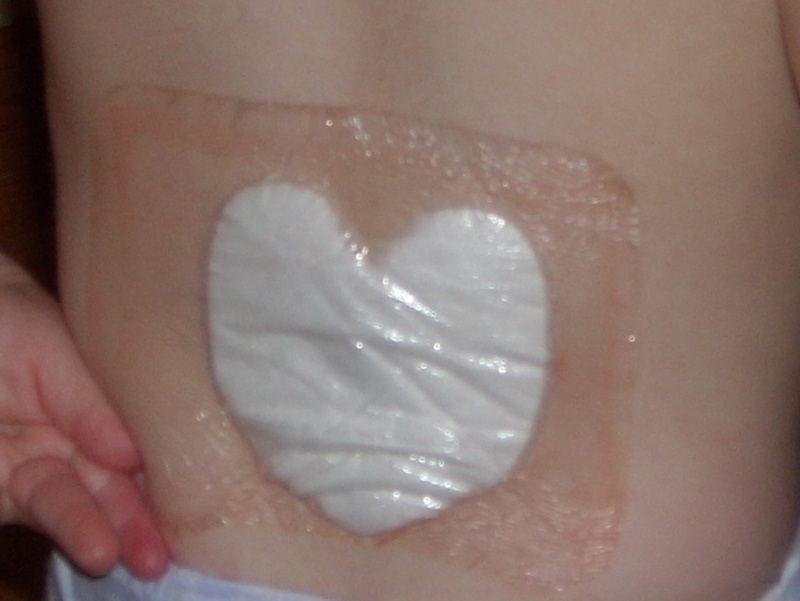 Dreaded spinal surgery just after she began transitioning off her walker. 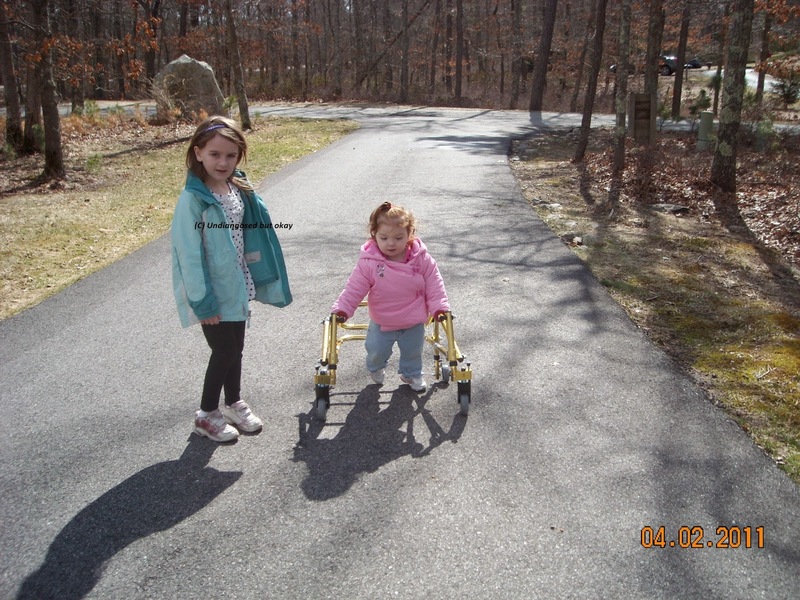 And best yet…Bridget picking Abby up from the bus stop, post walker. And because she is too cute for words and I am amazed at how she has grown. 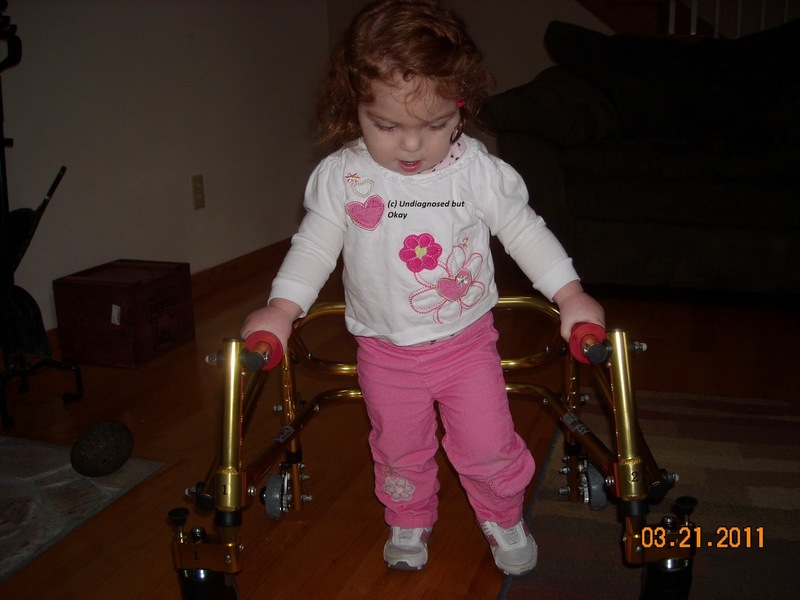 Here is Bridget saying goodbye to her walker. 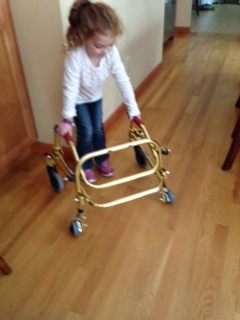 Bridget saying bye to her walker. Thank you to every person involved in making these milestones happen. This entry was posted in physical therapy and tagged milestones on October 22, 2014 by firebailey. Thanks, Janine. It took a long time for me to be comfortable passing the walker on to another family in need. Oh momma, that is so beautifully cool! Congratulations! Thanks, Allie. It was kind of that moment when you take a deep breath and leap of faith that she will never need that walker again. Of course then when she is saying goodbye to it I realized hey she has outgrown it! It is really tough. I still have a bath chair that she never really used (we used the Boomba against the rules). But knowing I was saving another family from fighting their insurance company made it so much easier! Oh how WONDERFUL!!! I am so so blessed to see these milestones and celebration for progress and JOY in each step!!! The video said “Video does not exist” when I pressed the play button. POOP!! I wanted to see it! Not sure what happened, but I’m betting that it was precious!! !